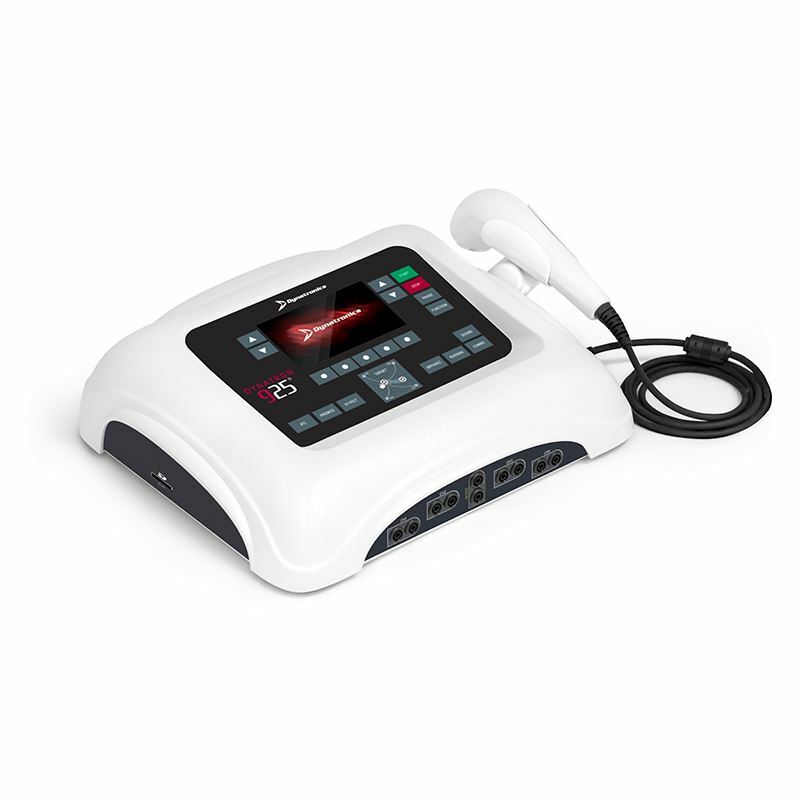 All channels allow fully-independent treatment setups as well as ComboPlus technology, offering Ultrasound in combination with Interferential, Premodulated, Biphasic, High Voltage pulsed stimulation and Russian stimulation. Offers 1, 2 and 3 MHz ultrasound frequencies for the greatest flexibility in depth of treatment. Choose 1 MHz for deep treatments, 2 MHz for moderate depth or 3 MHz for superficial depth. Dynatron 25T Series feature Target and Target Sweep for Interferential treatments to focus treatment precisely where it's needed. Setting up a treatment is easy. Some treatments, can be set up in as few as three key presses. Treatment parameters are highly visible, easy to read and changed at the touch of a fingertip. The D925T and sound head is covered by a two years warranty on parts & labor. Included Accessories Qty. Description: .1 Sound head 5cm2 .1 Power Cord (black) .1 Operator’s Manual on CD .1 Protocol Reference Manual for Electrotherapy & Ultrasound .1 bottle of ultrasound gel .2 96” leads Red .2 96” leads black .1 ComboPlus lead wire .1 Ultra Polys™ Self-adhesive electrodes 2” x 4” w/pin connector (pkg. of 4) Optional accessories .2 cm2 soundhead, .10 cm2 sound head, .Solaris Cart.